I like to tell people that I met my husband at a concert where he was the singer and lead guitarist in a band. It sounds dangerous and rock and roll. And it’s true except for the fact that it was a Christian rock band, and he was playing at his local church. Somehow, those details tend to lessen the dangerous rock and roll edge. Truthfully, I knew of him before the two of us ever met. He was a friend of some friends, and he was a magical mix of tall, dark, handsome, and serious about God. As a new Christian myself, I couldn’t imagine a more perfect guy. He would walk around school with his Bible, and he played in a rock band. I know, right? My plan was to introduce myself to him and win him over with my wit and charm. It seemed like a solid plan to me, and when I was finally able to introduce myself to him at one of his shows, I set my plan into motion. But I was thoroughly perplexed when he brusquely walked out of a group conversation that we were a part of. He didn’t just seem upset. He seemed specifically upset with me. So I sought him out some time later and asked, “Did I do something wrong?” I clearly hadn’t done anything, but by feigning concern, I would display my obvious thoughtfulness — a trait he would appreciate because he was a nice guy. That definitely wasn’t a part of the plan. He went on to inform me that I was gossiping. Like mean gossiping. And my spiteful conversation wasn’t something he was interested in being around. If I had been a cartoon character, my jaw would’ve fallen through the floor. Everything that I had known about him clashed into immediate conflict with what I had experienced of him. What I had heard from other people and what I had seen from a distance all suggested great things. But what I experienced of him was very different. Suddenly, he wasn’t perfect. He was a self-righteous jerk with too much gel in his hair. In hindsight, we were sixteen. I was a gossip. He was self-righteous. It’s the stuff love stories are made of. Recently, my pastor communicated a great word about examining our walks with the Lord. He said relationships are formed out of knowledge and experience. How we relate to and understand people simultaneously comes from what we know of them and what we’ve experienced of them. And it’s the same way with God. What we know about God is important. What we experience of Him is important. But, to our detriment, we often side with one of these categories — knowing or experiencing — when interacting with Him, and one without the other is incomplete. A head full of doctrine amounts to very little when I haven’t experienced Him. And spiritual experiences are nothing without a sound foundation to build on. The message, while encouraging, was very convicting. I think I operate in both of those realms, but often, the balance isn’t fair. In fact, I tend to lean towards knowledge more than experience. Every time I do that, I limit my walk with God. I limit the depths that I go to with Him. 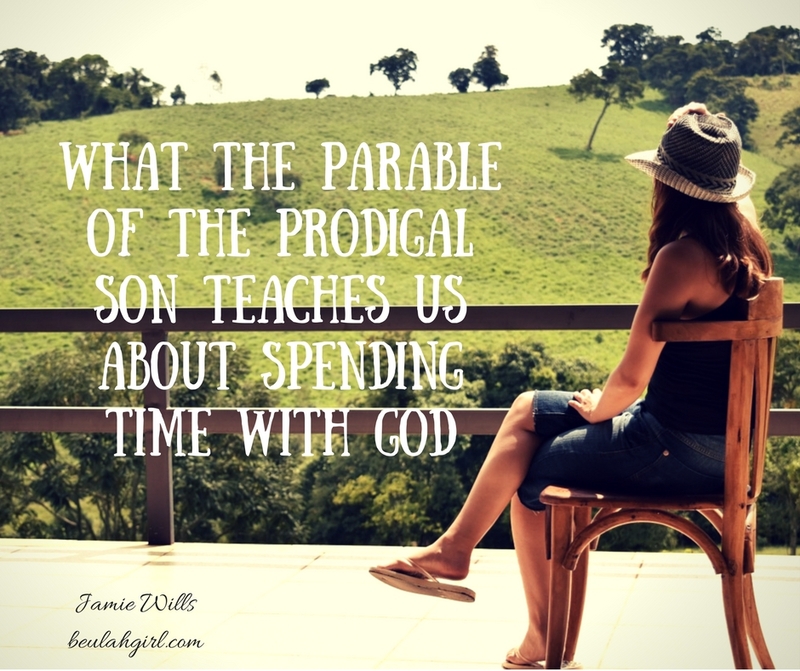 In the past, I’ve been very much guilty of keeping God at arm’s length — probably out of fear of what He would do with my life once He got a hold of it — by dissecting the Word so that I could know how to “do” right living but never spending real time with God in order to learn what His voice sounds like when He’s speaking to me. And while I’m no longer of afraid of what a surrendered life looks like, I still feel myself fall into the trap of old habits when I’m not being careful. We have no need for a Tent of Meeting because we are our Tent of Meeting. It’s one more thing that separates authentic Christianity from other major belief systems. We don’t need Imams or Brahmans or priests to communicate with God on our behalf in the hopes that their esteemed value can rise above our own lesser worth. 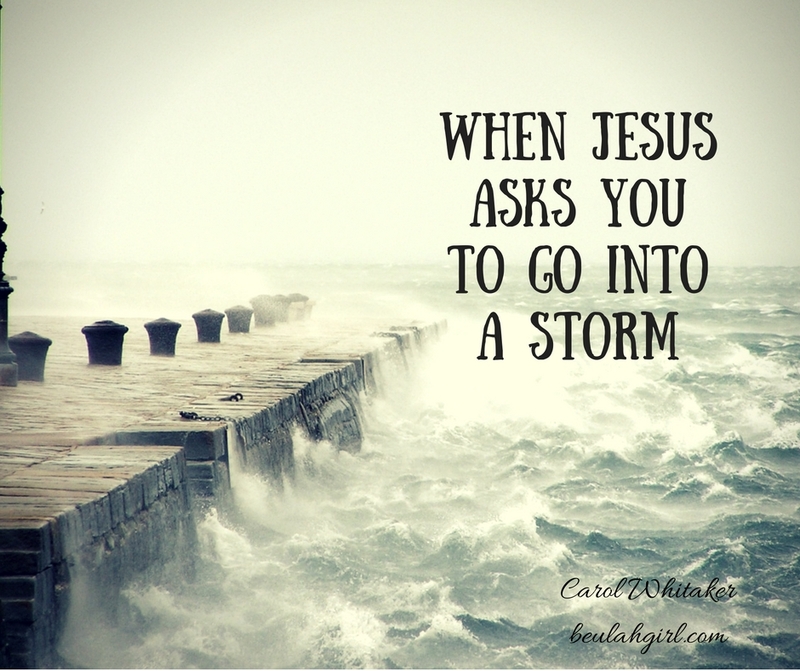 In fact, through Jesus, we can not only approach God, but we can approach Him boldly (Hebrews 4:16). What does that mean for us? We can communicate directly with God at any time we choose because of Jesus’ work on the cross and experience Him more fully than we are right now. Yet often, we often limit Him to a small space because we are chasing after other things or are holding onto sin in our lives. 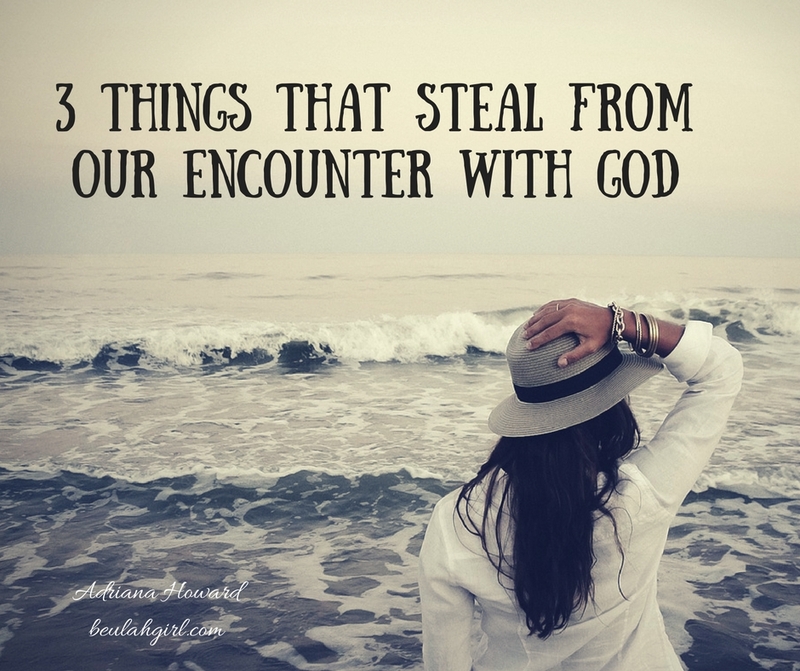 My pastor highlighted three things that steal from us the opportunity to encounter the Lord. If you’re anything like me, you’re well aware of the fact that there are things that stand in the way of your ability to deepen your walk with the Lord. I hope that these points speak to you, in whatever season you’re in, like they’ve spoken to me. We’re all human. We have legitimate needs, but we don’t sin because of those legitimate needs. We sin because we choose to meet those legitimate needs with illegitimate things that are substitutes for God. It isn’t a sin to be lonely or to be hurt. But if we take those needs and emotions to a sinful place for them to be met, we tend to our hunger with things that don’t satisfy (Psalm 107:9). The place of greatest influence in our lives belongs to God. And when we refuse to forgive, it elevates that person/situation and damages our walk with the Lord. Bitterness causes us to dwell on something/someone instead of dwelling on God. 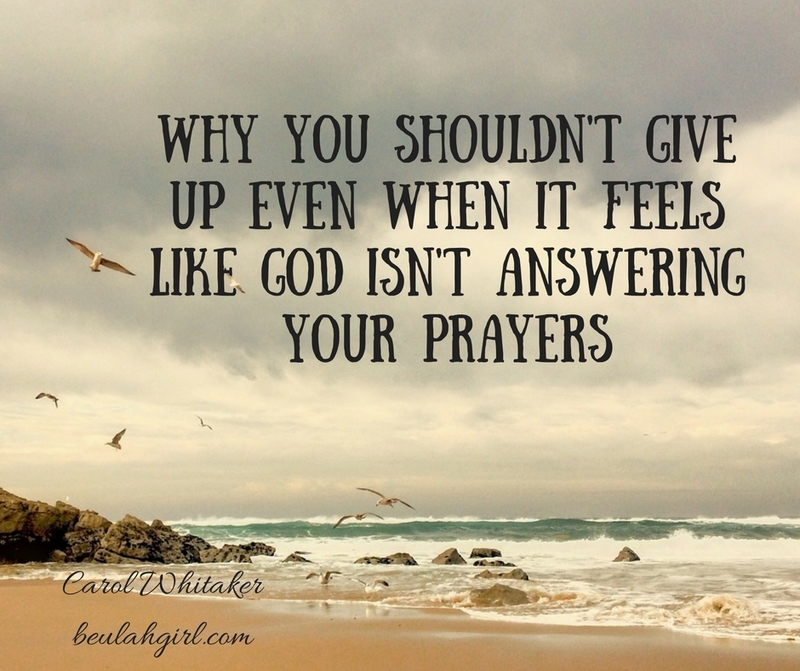 Even when our unforgiveness feels justified, the truth is that it plants a wall between us and God. He is gracious to forgive us, and if we are conformed to His likeness, we have to forgive others (Matthew 6:14-15). When we choose to address these areas in our lives, we are clearing the path for Him to work in us. And when we surrender them to God, we expand our place of encounter. In Isaiah 54:2, the writer entreats us with this: “Enlarge the place of your tent; stretch your tent curtains wide. Do not hold back.” For Moses, the Tent of Meeting was where he encountered the Lord. For us, our tent of meeting is an inward place, but it is no less real. And it’s up to us to seek it out and dwell in it. It’s up to us to meet God there. 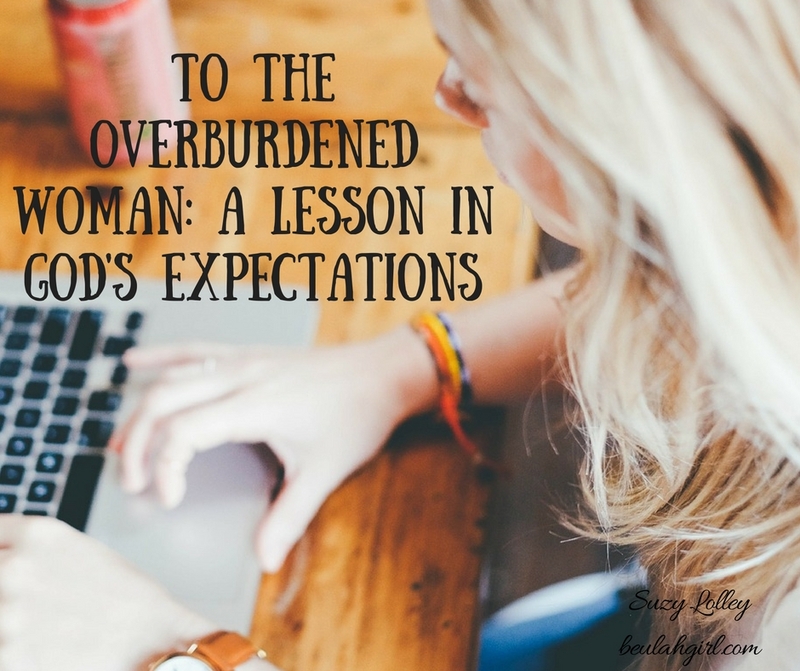 As we give ourselves opportunities to really meet with the Lord, as we set aside intentional time and allow ourselves to be shaped by Him, we enlarge our place of encounter. And encountering the Lord, reconciling what we know of Him with what we experience of Him, is absolutely vital to our walk with Him. It’s there that we get to know Him better. And it’s there that we experience Him more. So expand your tent. Stretch the curtains wide. And don’t hold back.